Going for a hike with your family is one of the best ways to bring everyone together for some great family time. It’s free, it’s fun, and there are endless opportunities to explore new places. Adults and kids alike can disconnect from their electronics, leave behind the stress of everyday life, and just focus on each other and the journey at hand. We all know these things to be true: exercise and being out in nature are both proven to make people happier and healthier. So why don’t we do it more often? 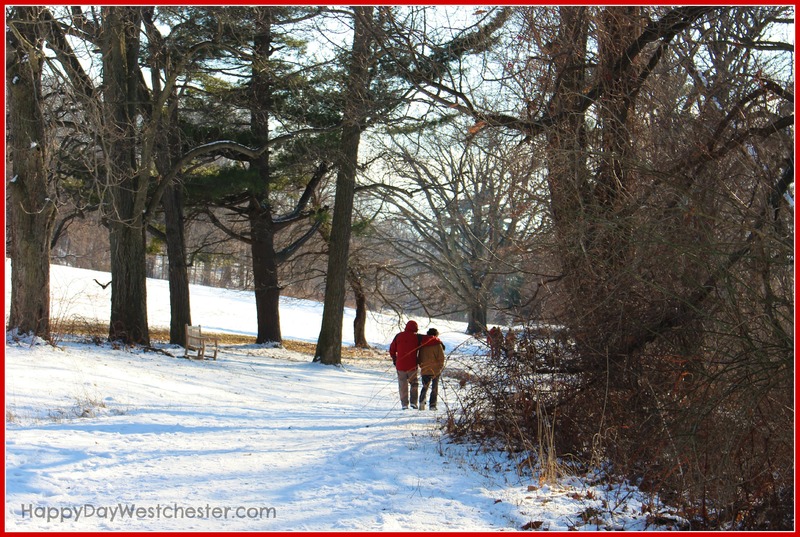 In 2014, one of my goals will be to get the family out, at least once a month, for a new hike around Westchester. Care to join us? This month: Rockwood Hall in Sleepy Hollow. Rockwood Hall is part of the extensive Rockefeller State Preserve. Here’s a shot of the trailhead. See that gentle slope? 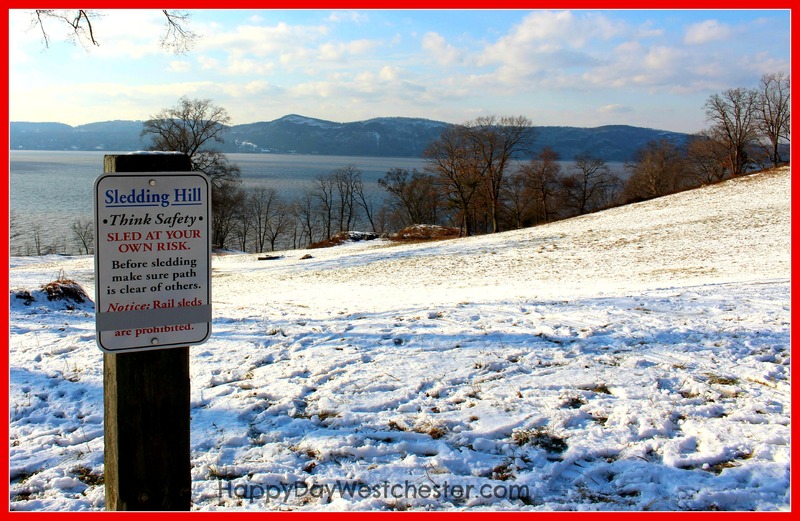 Right over the ridge at the top right you will be rewarded with a beautiful view of the Hudson. This hike scores big points for the almost immediate payoff of gorgeous views. When you’re hiking with kids, this is a big plus! 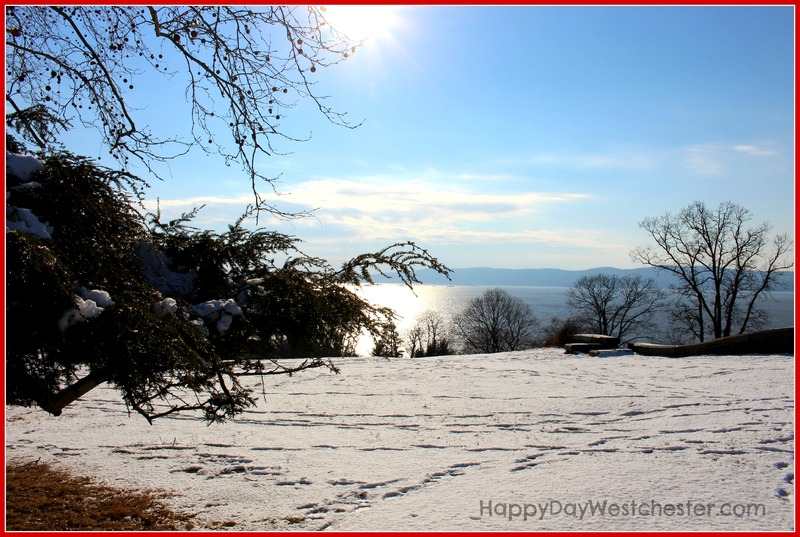 As you make your way over the first ridge, and spot the Hudson in front of you, you’ll also see the Tappan Zee Bridge off in the distance to the left. I was surprised to discover that also just over this ridge is an excellent sledding hill. The river at the bottom must add to the excitement of sledding down this huge slope. Keep this in mind for the next snow storm (currently underway as I post this)! 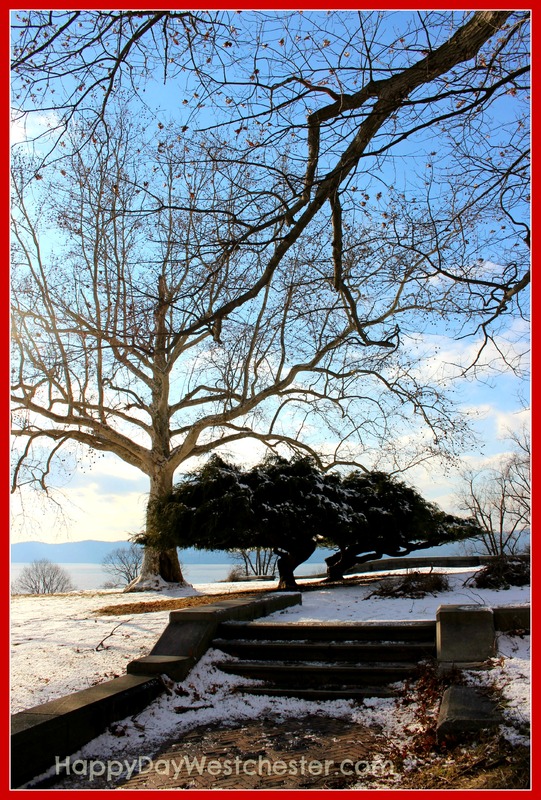 Just as impressive as the foundation of the mansion and the views of the Hudson are the spectacular trees on the property. The landscape was designed by Frederick Law Olmsted, using a variety of unique ornamental trees, back when the house was built in 1886. That makes these trees well over a hundred years old. They are huge, and gorgeous, even in the dead of winter. I already can’t wait to go back in the spring – I’m sure the landscape will be breathtaking. We walked around the old foundation and then looped down towards the river, passing more huge old trees and great river views. Then we doubled back and looped toward the front of the property, meeting a few dogs, their people, several beautiful birds and one deer along the way. 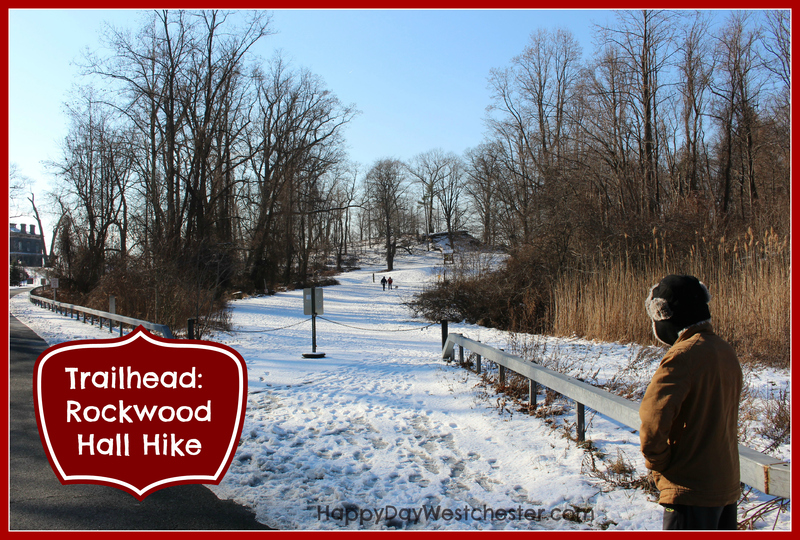 We kept our hike to just over an hour, but you can make this hike as long or as short as you like – these trails connect to the Old Croton Aqueduct as well as the rest of the Rockefeller State Preserve. 1) Provide Motivation. It’s cold. 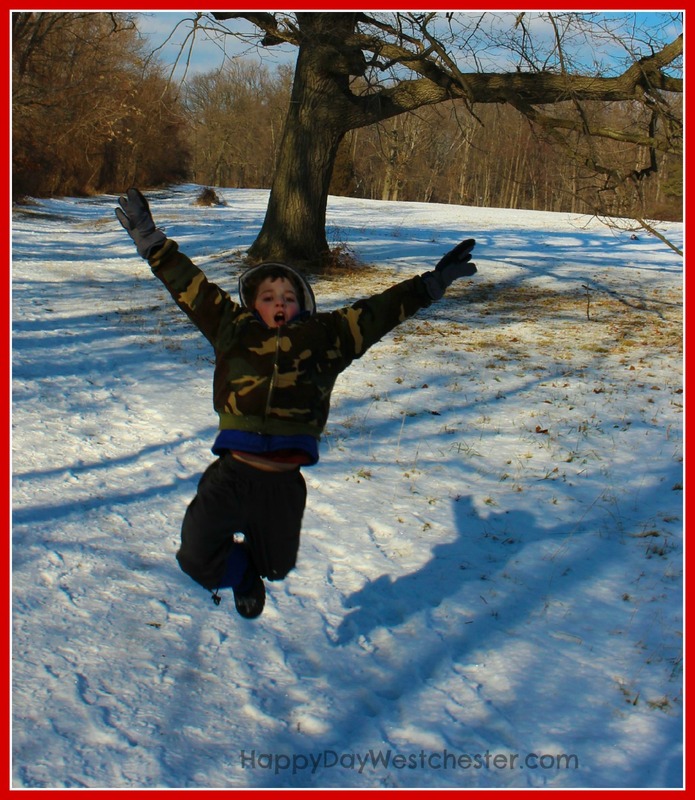 There will be complaints from various family members that a hike is not what they want to do on a winter day. I needed to provide some additional motivation for my kids -before we ever left the house we had plans for our post-hike hot chocolate and fresh-baked donuts from a local favorite spot. 2) Keep it short, if necessary. In warmer months, wandering the trails with no specific destination and an open-ended return time is part of the fun. This time of year, though, it helped us keep unmotivated hikers moving by being very specific about timeframe and destination. We were hiking to the foundation and then down to the river, taking a loop back to the front of the property. Not too long and very specific. 3) Be prepared. Planning is everything. If people are uncomfortable, the whole plan will fall apart. In addition to any usual supplies you carry on a hike, you’ll need good warm boots; possibly snow pants, depending upon your enthusiasm for rolling down hills; tissues, lip balm, extra gloves, and maybe even hand or foot warmers for sensitive little hands and feet. You know your family – make sure you have everything they might want, so there will be no excuses for turning back. 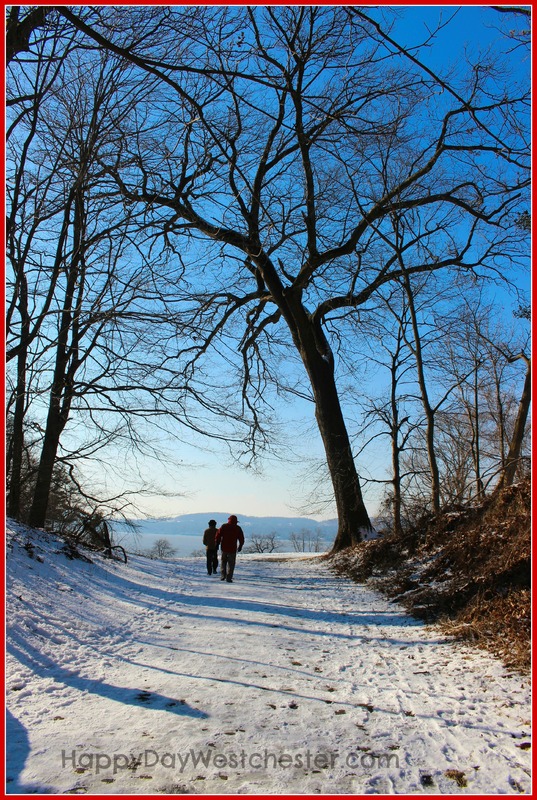 It feels great to go for a hike…even when it’s cold…really! Need a trail map? Here it is, with Rockwood Hall on the western edge of the Rockefeller State Preserve Map. Parking: There’s a small parking area here at Rockwood, making it easy to get to this section of the Preserve without parking in the main lot, which is about a mile away. The lot is directly across the street from the trailhead, which is located on Rt. 117, just west of Rockwood Road. Hat tip to the New York-New Jersey Trail Conference for their great website, full of information about this hike and many others. Check it out here! Yes, it’s cold! It still feels great to go for a hike. Go rally the troops! Rockwood Hall is beautiful, even in the winter, and well worth the trip. ← Take a trip to the South of France, for dinner and dessert ~ Little Crêpe Street! Great post! I especially like the tip about keeping it short, if necessary. Whenever I suggest an outdoor activity in the winter, I’m met with resistance. If I set a reasonable time limit and say “We’re going to go do _______ for an hour”, it’s usually easier to get people on board. Great photos! I fully agree! Haven’t got kids but love to go out walking with dogs but need to make an effort to explore further afield. Gorgeous pictures, it looks mighty cold but beautiful. I love the snow. In the UK were suppose to be having our coldest winter in years but so far it’s just just been wet,wet wet! I love hiking, but I really haven’t gone in the winter. We should do that one weekend. 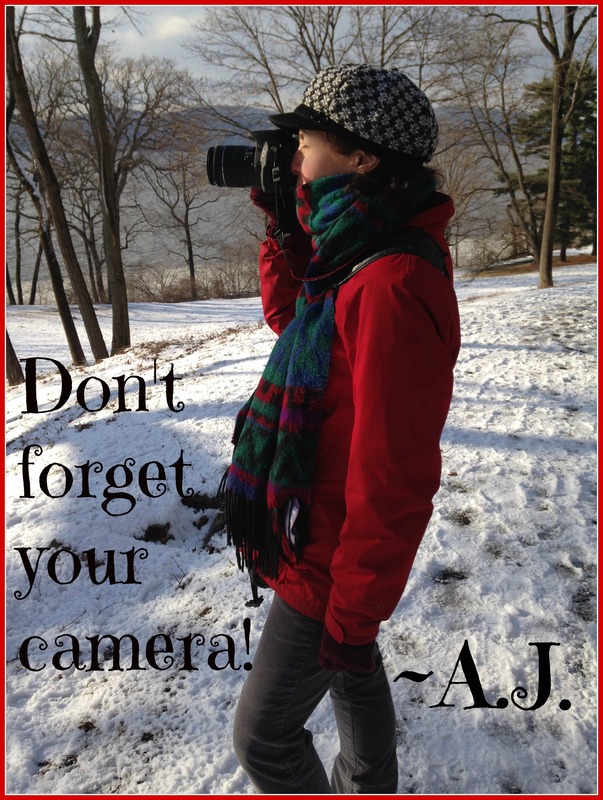 Your pictures are beautiful and very inspiring to get out. I think I’ll wait until the temps are out of the single digits. 🙂 Is that your dog in the picture? Our Shih-Tzus love trail walks. Visiting from SITS sharefest. Great post about a beautiful place! 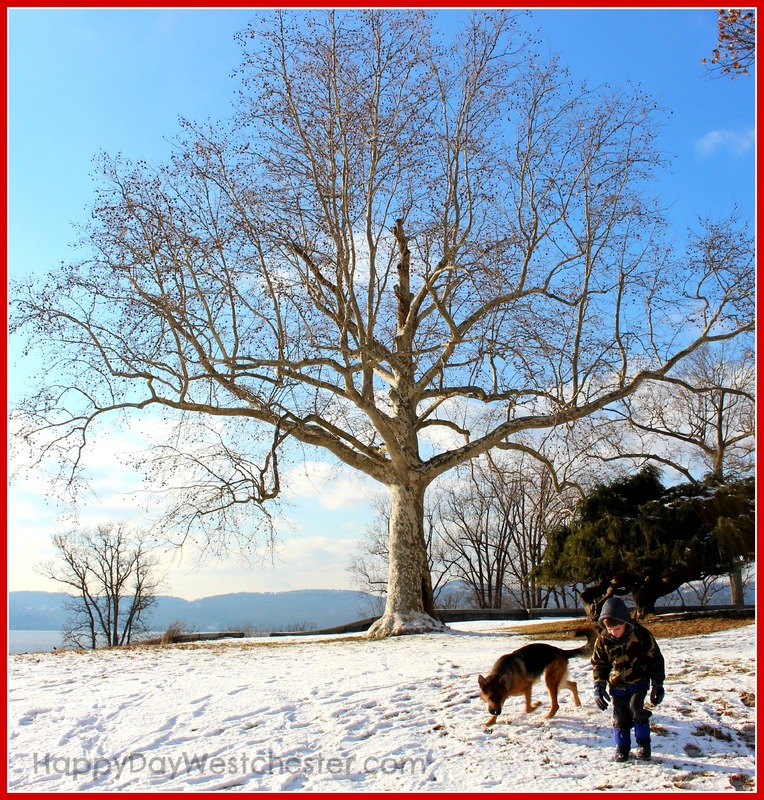 Love the photos – you captured some of my favorite trees there. I love that area in every season.